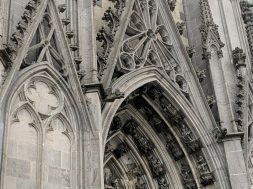 While I’ve always known that German Pretzels exist, I had them at Fairs or Karneval and such, it wasn’t until I went to Munich that I discovered just how central Soft German Pretzels are to daily life in Bavaria. This isn’t just Oktoberfest Food… Soft Pretzels are found in the Bread Basket … right along side the Brötchen and Roggenbrot! BAM! An eye opener! You can serve PRETZELS with butter! and maybe some Aufschnitt or cheese spread, and you have a meal instead of mere tasty snack. Still, knowing this, and recreating the recipes for soft German Pretzels at home sounded difficult, especially since there are some techniques and ingredients that aren’t generally in my wheelhouse. After a lot of recipe testing, I think I’ve got it worked out this soft German Pretzels recipe ticks all the boxes. Soft with a bit of crunch to the crust, chewy, flavorful and great tasting plain or covered in butter! The ONLY thing missing is that mysterious tang that you get from the Lye bath, but even the substitute I used comes close. Honestly, I am too much of a klutz in the kitchen to attempt working with caustic substances (case in point, I made these pretzels with a glove on because I cut myself washing dishes last week and I’m still recovering) (ok, and can I just say, kneading dough with an injury covered by a glove is less than ideal). Also, I really wanted to use a recipe that had ingredients you find in the average kitchen. I did do some research, and found an alternative that comes close. Baked Baking Soda. It sounds nutty, but one German Baker says she BAKES her baking soda for a while and it changes the chemical composition. Hmm. Why not try it? 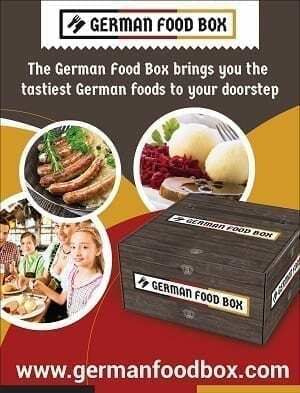 It seems to work ok.
So… whether you are hosting an Oktoberfest gathering, or you just feel like having some delicious fresh German Pretzels at Brotzeit, or you REALLY just want a pretzel… why not give this recipe a try? 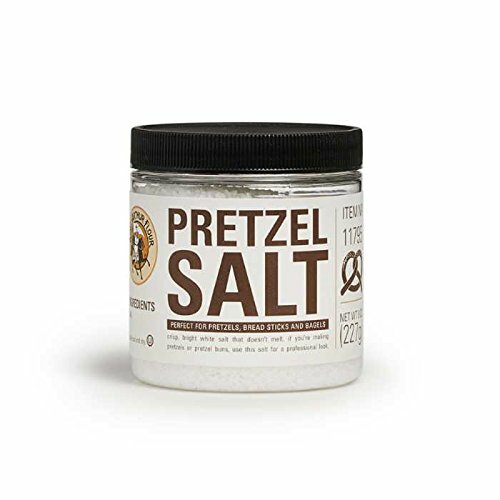 I made these pretzels so often, we ran out of Pretzel Salt. Luckily, you can do as I did… sprinkle on cheese before baking, or better yet, sprinkle with cheese and cubes of smoked ham. Swoon. We also tried Pumpkin Seeds (hey, it’s great for Brötchen). Some people swear by cinnamon sugar…. clearly, there are a lot of ways to go with Pretzels. Read all the instructions first so you are clear about the steps. It IS a bit of work for 8 pretzels, but there is no comparison to the ones you find in the Freezer section of the grocery store. Before you start the dough (in fact, you can do this a day or two in advance) bake 1/4 cup of baking soda in a baking dish (non-metallic) at 250 degrees for 1 hour. Set aside... You can make more and store the extra in an airtight jar. Add 2 tsp dried yeast to 1 1/4 cup warm (not hot... WARM) water. Combine 3 cups of bread flour and 2 tsp salt (I used Kosher salt) in the bowl of a mixer. When the water/yeast mix is all bubbly looking, add it to the flour/salt in the mixer, then mix on low until the dough is combined and comes togther. Take it out, and knead/shape into a ball. Put a bit of oil at the bottom of a medium mixing bowl. Drop the dough ball in, then flip it over (this coats the whole ball). Cover the bowl with plastic wrap, then place in a warm spot to rise for 1 hour. When the dough has doubled in size, remove from the bowl, and cut to 8 pieces. Put the 8 Pretzel shapes on the parchment covered baking sheets. Bring 10 cups of water to a boil in a non-aluminum pot. Add the Baked Baking Soda.. stir carefully until it dissolves. Boil 30 seconds, then flip and boil 30 seconds more. I put both trays in the oven at once... bake 10 minutes, then rotate the trays top to bottom, and bake 10 more minutes. Take out of the oven, and cool 2 -3 minutes on the baking sheet. Remove from baking sheet on to cooling racks. Let cool until you can put them into your mouth. Read the instructions, and gather all ingredients first. Preheat the oven and bring the water to a boil while Pretzels are on their second rise. If you prefer making your pretzels with Lye, please, go right ahead. I just didn’t feel comfortable, and really didn’t want to buy another ingredient that wouldn’t get used up for my kitchen. After researching a bit, I read about a Baker who uses BAKED Baking Soda. Sounds odd, but it’s actually a thing. Turns out, when you bake baking soda, you change its chemical composition to Sodium Carbonate, which is used as a cleaning ingredient… and can be toxic if you just decide to spoon it straight to your mouth (please don’t). Basically… you end up with a chemically basic white powder that is water soluable… so it dissolves in boiling water. The basic quality is what transforms the crust of the pretzel! I found 10 cups of water to 1/4 cup of Baked Baking Soda or Sodium Carbonate, is perfect. You can make more than just 1/4 cup at a time. It stores well in an airtight jar. Please LABEL it, so no one accidentally sprinkles it on cookies. 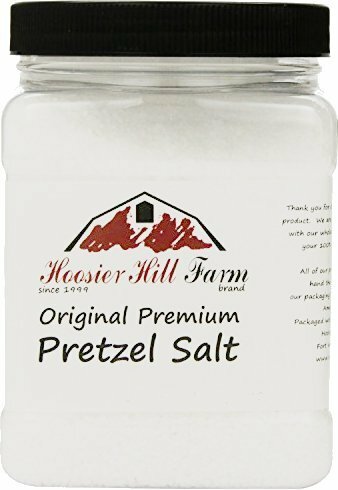 Hoosier Hill Farm Coarse Pretzel Salt (5 pounds) King Arthur Pretzel Salt – 8 oz. Pull/Roll the Pieces into Strands… you may have to do this a few times, slowly, to get the right length. Bake 10 minutes at 400 degrees F. Then Rotate and bake 10 minutes more. Now, his pretzels are a lot bigger than mine (and clearly more professional… ) but you can see how it works. Thank you for testing and then sharing this. It is probably a revelation to many Americans that proper prezel making does NOT invole a deep-fryer and grease. I will try this out myself after the Fall holidays!